The two-level, 17,000-square-foot building will integrate and update Andover’s health services under one roof, and better meet the community’s needs, which have outgrown the Isham Health Center. The new wellness center will combine traditional medical services and psychological counseling with a wide variety of important new programs, including personal health assessment, yoga, and meditation. The building is set to open in early December 2015, when students return from Thanksgiving break. 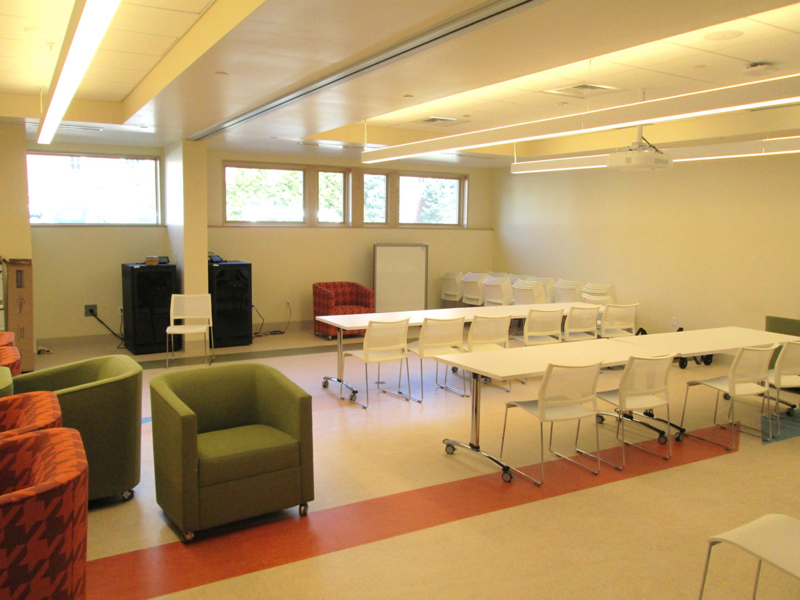 Multipurpose rooms – each 600 SF, full media fit out in each; retractable center wall – showing one large 1200 SF room.